Dappled late-afternoon light bathes a clearing in the hand-crafted forest. Cellist/singer Leah Coloff emerges, trailing a 25-foot cape of tattered denim. Tracing the secrets of her family history, Coloff glides between idyllic childhood memories, unanswered questions and her roller coaster ride of fertility treatments. ThisTree weaves autobiographical storytelling, 8 mm home movies, and Coloff’s signature blend of blues, rock and non- traditional cello playing, supported by an all- female band, to investigate the vantage point of being the last branch on the family tree. Commissioned and developed by HERE through the HERE Artist Residency Program (HARP) and is being supported by HERE’s Fund for Women Artists, generously created by Jennifer Suh Whitfield and Benjamin Whitfield. Leah Coloff (Writer/Composer/Performer)is a cellist, singer and composer described by The New York Times as “a combination of artful angularity and a rock-inflected assertiveness.” Leah has worked with composers such as Philip Glass, Joel Thome, Sean Friar, Michael Gordon and Ted Hearne. Credits include the premieres of Ridge Theater’s Lightning At Our Feet as cellist/singer/performer and Beth Morrison Productions, Ted Hearne’s The Source, as cellist. Recent discography includes: The Source (New Amsterdam), selected best classical recordings of 2015 by The New York Times and The New Yorker, Outlanders (New Amsterdam) and ThisTree (searchingeye) the album inspiring her multimedia autobiographical song cycle encompassing family, memory, secrets and loss. ThisTree is receiving commissioning, development, and production support from HERE as part of the HERE Artist Residency Program and will be premiering at the Prototype Festival 2019. 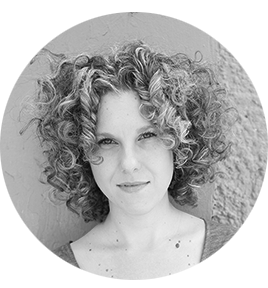 Leah is a regular performer at the Obie Award winning Secret City and cellist for the Scorchio String Quartet, featured in the award winning documentary, Inside the Perfect Circle: The Odyssey of Joel Thome. 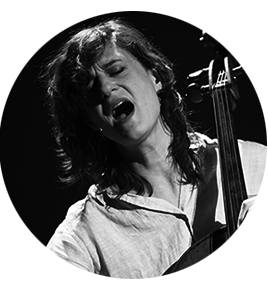 She has played with musicians such as Trey Anastasio, David Bowie, Michael Cerveris, Rufus Wainwright, Lou Reed and Damon Albarn among others. Leah studied with Irene Sharp at The San Francisco Conservatory of Music, and with Bernard Greenhouse at The New England Conservatory of Music.